At present, CIOFF worldwide membership covers 102 countries of the World, with 63 National Sections, 18 Associate Members, 3 Partner Members and 18 Corresponding Members. It is estimated that over 1 million people, including over 30'000 folklore dance and music groups and folk arts organisations are associated with CIOFF through their CIOFF National Sections Worldwide. Promoting the intangible cultural heritage through dance, music, songs, games, rituals, ceremonies, customs, traditional crafts, costumes and food. Contributing to preservation of cultural identity throughout the world. Implementing its Policy on Transmission of Cultural Heritage to Children. Supporting the activities of its members in the areas of folklore and traditional culture. Serving the cause of peace and non-violence through international cultural cooperation. Implementing the UNESCO Programmes related to traditional cultures. Compiling the “Directory of Experts in Folklore “. Every year CIOFF activities throughout the World receive significant press and media coverage on Local, National and International levels. Through its activities CIOFF affects social life of people and communities throughout the world, by promoting friendship and peace and bringing people together. 15 million performers, volunteers and spectators take part in CIOFF activities worldwide every year. Over 300 local communities worldwide get involved in helping to organise and run CIOFF events. Through its activities and events CIOFF is putting small towns and villages on a Global Map. Through its events CIOFF carries significant influence within Local, National and International Economies. 12 million US Dollars (9 million Euros) per year is estimated to be spent on tickets by general public, watching International Folklore events, presentations and celebrations all over the World, although most of the Festival performances around the World are free for the audience to watch. 23 million US Dollars (17 million Euros) constitutes overall worldwide funding received from Governmental Institutions& Bodies towards International Folklore Festivals per year. 13.7 million US Dollars (10.2 million Euros) is estimated as an overall Worldwide Sponsorship Contribution towards International Folklore Festivals per year. Every year 15 million people attend CIOFF Festivals & Events, constituting CIOFF Worldwide audience. 5.4 million people travel considerable distances within their own countries and abroad to watch International Folklore Festivals every year. 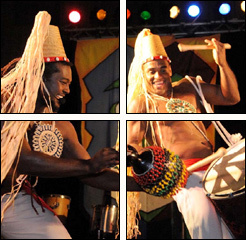 3000 International Folklore Dance and Music Groups travel the World each year to perform and share their culture at CIOFF International Festivals & Events. Over 90000 International Folklore Performers and Craftsmen tour other Countries of the World each year to demonstrate their arts & crafts. Most of CIOFF worldwide representatives travel to take part in World Congresses, Seminars & Conferences through CIOFF. Each CIOFF national Section has its own network of members, incorporating National and International Folklore Festivals, Traditional Arts Organisations and Folklore Performance Groups. Coordination of National Folklore Groups performances in other countries worldwide. Liaison with National Cultural Organisations, Tourism Authorities and Government Bodies. Organisation of National and International Seminars & Conferences. Overseeing National publications related to CIOFF activities. Work with Youth and for Children. In 2000, CIOFF has started involving young people into its administration by creating a Working Group for Youth. Since then, the participation of young people in the different bodies of CIOFF is constantly increasing. The aim of the Working Group is the development of programmes and activities specially adapted to the needs of the Youth. Since 2003, the Youth Coordination Committee has replaced the Working Group for Youth as a permanent structure. The main asset of CIOFF organisation is the International Folklore Festivals, held annually all over the world to celebrate traditional Dance, Music, Songs & Crafts. Worldwide over 300 International Folklore Festivals are being held annually through CIOFF network, including 24 International Children’s Folklore Festivals. The number of the Festivals is growing each year, with some of the oldest CIOFF Festivals running for over 50 years. Over 35 years of CIOFF existence over 6000 International Folklore Festivals took place around the Globe. The total number of International Folklore Celebration days organised through CIOFF worldwide is estimated at 2500 days per year. The total number of Folklore Festival Performances held globally is estimated at 15000 performances per year. CIOFF World Folkloriada is the flagship event of CIOFF. Like Olympic Games, Folkloriada is held every four year, bringing together people and cultures from all over the world, promoting understanding and appreciation of each other’s cultures, strengthening friendship and solidarity between people and celebrating national cultural heritage of each particpating Nation. First CIOFF World Folkloriada took place in Brunssum – Netherlands in 1996. Second Folkloriada was held in Japan in 2000. The Third was held in Hungary from 12 to 22 of August 2004 in 11 Hungarian cities. The participating groups from 72 countries and 67 Hungarian groups presented 228 performances for 392680 spectators sharing the main Folkloriada objectives. 131 press articles, 160 TV and radio broadcasts as well as 4 major TV programmes and 11600 websites featured CIOFF World Folkloriada events. All the people working in CIOFF International Organisation are volunteers, who come from various backgrounds and walks of life, from politicians to businessmen and cultural experts. All of them are united by their love to traditional cultures and dedicated to promoting peace and friendship in the world. CIOFF Network also stretches to include countless thousands of volunteers, who dedicate their time to work at CIOFF Festivals & Events, as well as a multitude of related tasks, throughout the world. Over 60000 volunteers work at International Folklore Festivals every year Worldwide. Over 3.8 million hours are dedicated by volunteers around the world to work at International Folklore Festivals each year. Through its Festivals & Events CIOFF is holding numerous Workshops in traditional dance, music, singing and crafts every year, bringing a unique multi-cultural experience to children, youth and adults all over the world. 5000 Workshops are organised through CIOFF at International Folklore Festivals each year, including 2000 Dance Workshops, 1000 Music Workshops and 2000 Crafts Workshops. In total 2000 Workshops are dedicated to teaching children, 1750 to teaching Youth and 1250 to teaching adults, attending the Festivals World wide. Over 320000 children, over 250000 youth and over 210000 adults participate in international Workshops at Folklore Festivals each year. Since its creation, CIOFF, sharing UNESCO’s values, aims to promote its objectives in the field of traditional culture. 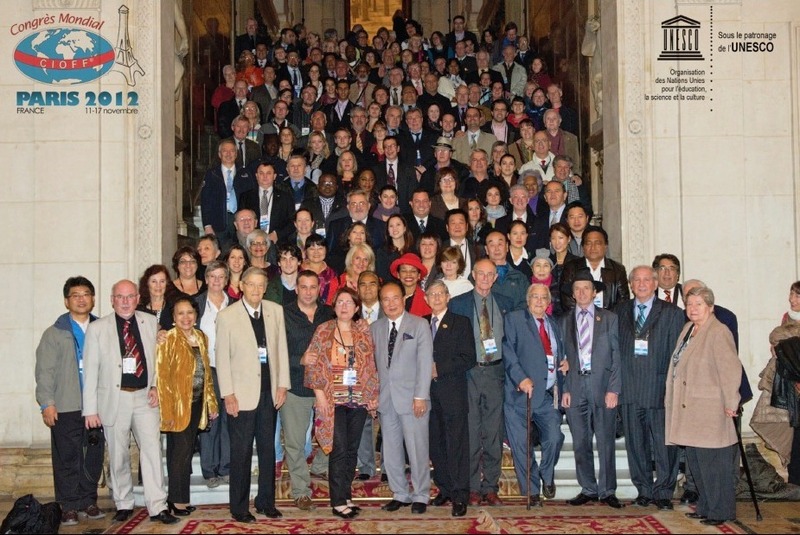 CIOFF maintains formal consultative relationships with UNESCO and develops projects of common interest. In the past CIOFF followed the preparation of the Recommendation on the safeguarding of traditional culture and folklore; more recently it got involved in the implementation of the Convention on the safeguarding of intangible cultural heritage. CIOFF also promotes various actions in favour of cultural diversity, intercultural dialogue or culture of peace through the implementation of specific biennial programmes or the organization of meetings, workshops and cultural conferences. To be more specific, in 1998, CIOFF with the financial support of UNESCO, extended its network in Western and Central Africa, which made it possible to raise African cultural performer’s awareness to the importance of safeguarding of traditional cultures. More recently UNESCO supported CIOFF in the implementation of its programmes on the “Strengthening of CIOFF Africa network” in Southern Africa, for the “Awareness Programme of traditional cultures for children and youth” and for “Intercultural Dialogue: African influences in the Caribbean and Latin American countries”. The Permanent Delegate to UNESCO represents the CIOFF at UNESCO.